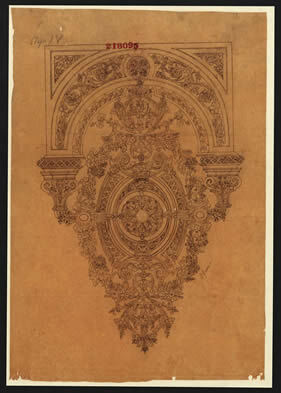 A design for architectural ornamentation, probably a wall-bracket. The design appears too complex to have been manufactured from ceramic materials. It is possible that the design was to be made from metal. Sheffield is an area well known for metal production.